The Chelsea social media team are on FIRE! They’ve successfully rustled the Liverpool fanbase before a ball has even been kicked. We are living in the social age, football clubs all around the world are having to adapt in order to thrive in this newly formed online environment. Some have made the transition seamlessly, AS Roma’s Twitter in particular is always coming with the jokes, but Chelsea’s hasn’t been on par… until now. 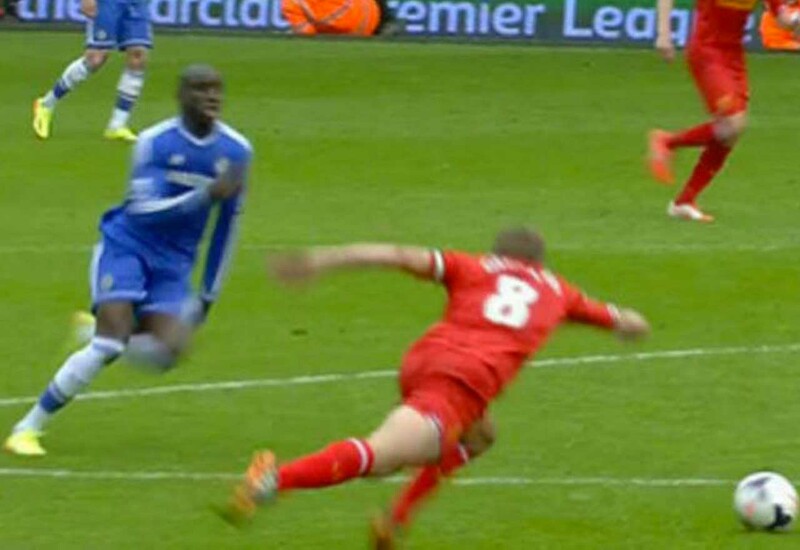 Ahead of Chelsea’s HUGE clash with Liverpool later today, the Blues Twitter account tweeted out the below footage of Steven Gerrard’s famous slip. Not only are they sharing a highlight from a memorable past fixture between the two sides, they’re really rubbing it in for poor Stevie G.
They show three different angles of his slip, as well as a close-up of his face to finish. It’s expert winding up from our usually tame social media team. It appears to have had the desired effect, too, look at some of the replies from the Liverpool supporters. You LOVE to see it! Expect nothing less from a classless club.